Cataract is a progressive opacity of crystalline lens of the eye that causes decreased vision. World wide cataract is the number one cause of preventable blindness. Cataract is caused by cloudiness of the natural intra-ocular crystalline lens that focuses the light entering the eye onto the retina. 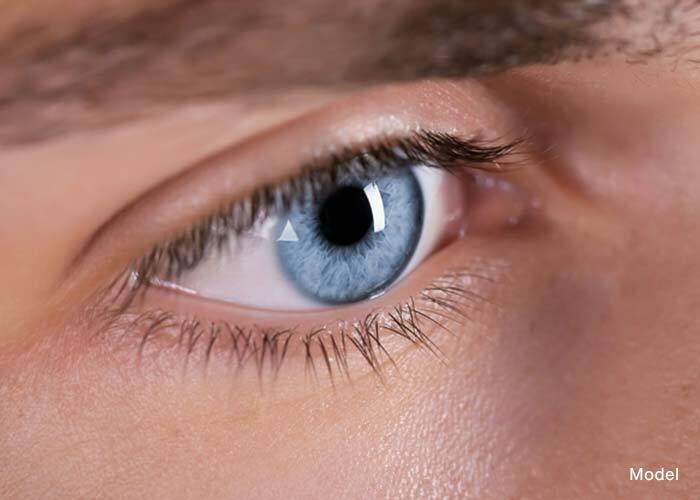 The crystalline lens is located right behind the pupil or colored part of the eye. It is held in position by fibrous bands called zonules and has magnifying power. The lens changes its shape as the eye changes focus from distance to near. Like a camera the crystalline lens focuses images and light onto the retina. After age 40 the crystalline loses its focusing ability due to hardening of the lens fibers and hardening tissue, this condition is called presbyopia requiring reading glasses for people after age 40. 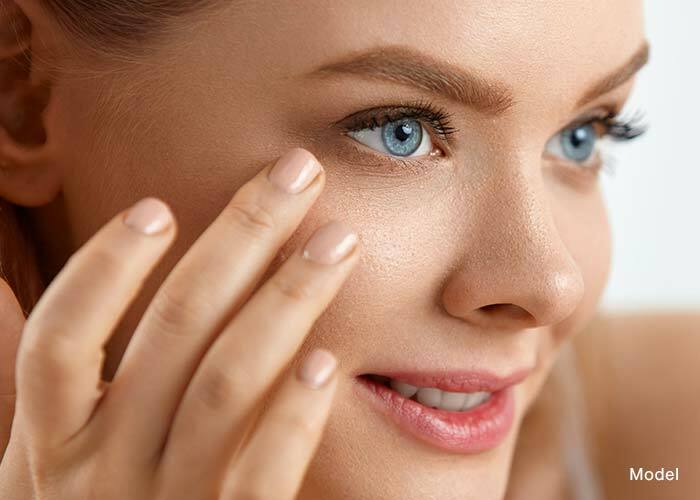 The crystalline lens is crystal clear when we are born and as we age due to oxidation processes and progressive cross-linking within the lens, and increase in nuclear light scattering the lens becomes cloudy and cataracts forms. In general cataract is a problem of older population and age related cataract is the most common type. It develops rarely in infancy or child hood in association with systemic diseases such as diabetes mellitus, galactosemia, atopic dermatitis, Wilson’s disease. Corticosteroids, radiation (ultraviolet light or radiation therapy), trauma, glaucoma, uveitis, retinitis pigmentosa can also be cause of cataracts. In early stages the cataract causes decreased vision and usually it progresses slowly without pain. Cataract patients complain of blurry, poor vision and glare from incoming lights especially at night. At the later stages of the disease cataract can cause blindness affecting person’s life style. At this stage vision can not be corrected with corrective lenses and surgical removal of the cataract is the only way to restore vision. How can cataract formation be prevented? Oxidative damage contributes to the decreased natural antioxidants in the lens. Nutrients affect the risk of cataract formation. A diet loaded with antioxidant, rich in colorful fruits, vegetables, whole grains and certain supplements and vitamins have been shown to reduce the risk of cataracts and its progression. Antioxidant vitamins A, C and E, lutein and zeaxanthin also have shown to decrease the risk. Additionally observational data from well over 250,000 people suggest that maintaining a protein intake of 100–150 g/day reduces the risk of cataract, while avoiding frequent large intakes of simple carbohydrates (i.e., chronic consumption of super-sized sweetened beverages) is prudent. Consumption of Omega-3 fatty acids (found in flaxseed, walnuts, salmon, shrimp, and many other seafoods) diminishes the risk. In an epidemiological study the authors conclude that higher intake of long-chain omega-3 fatty acid (eicosapentaenoic acid and docosahexaenoic acid) and consumption of fish reduce the risk of cataract formation. Glutathione is another important antioxidant that plays an essential role in the protection of the ocular lens from cataract formation. In a transparent lens high level of glutathione is maintained, but with advancing age, glutathione levels fall in the lens nucleus relative to outer cortical cells, thereby exposing the nucleus of the lens to the damaging effects of oxygen radicals, which ultimately leads to age-related nuclear (ARN) cataract. N-acetylcarnosine in conjunction with lubricant eye drops has been shown to act as a powerful therapeutic platform for the treatment of cataracts and primary open-angle glaucoma. This data showed that N-acetylcarnosine is effective in the management of age-related cataract reversal and prevention both in human and in canine eyes. A diet high in carbohydrates may increase cataract risk. Sunlight (UV and Blue Violet sunrays) increase the risk of developing cataracts. Sunglasses which blocks 100% of UVA and UVB rays are essential to protect the eyes from the harmful effects of the sun diminishing the risk of cataract formation. Smoking cigarette also increases the risk of cataract formation. Surgical treatment: which is the removal of the cloudy lens and implanting of a clear artificial lens (IOL), Cataract surgery is the most common procedures. Cataract surgery has 97% success rate. Alternative cataract eye treatment: This is a comprehensive 3 day program and one year of follow up care. Zinc Taste Test: A simple 2 minute test that measures the intracellular levels of zinc. Zinc is a key nutrient not only for the eye but also every enzymatic function in the body. A deficiency of zinc is a red flag that there is probably nutritional deficiencies in other vitamins and minerals. The cost includes all of ancillary treatments such as, Myers cocktail and additional testing that might be needed. Please call office for the cost of the program.